I won't lie, I stopped reading parenting books about half way through my third pregnancy. I was tired of hearing "experts" share their sure-fire ways of raising perfect little angel kids. It was slightly depressing when the encouragement you get somewhere in the middle of the book fades about two days after you finish the book. There is never real applicable ideas that are translatable to unique families and children. Well, for the most part, that is. This is a parenting book that allows parents to not just be the disciplinarians in their kids' lives, but the guides who can show these young people how to be respectful, decision-making adults one day. 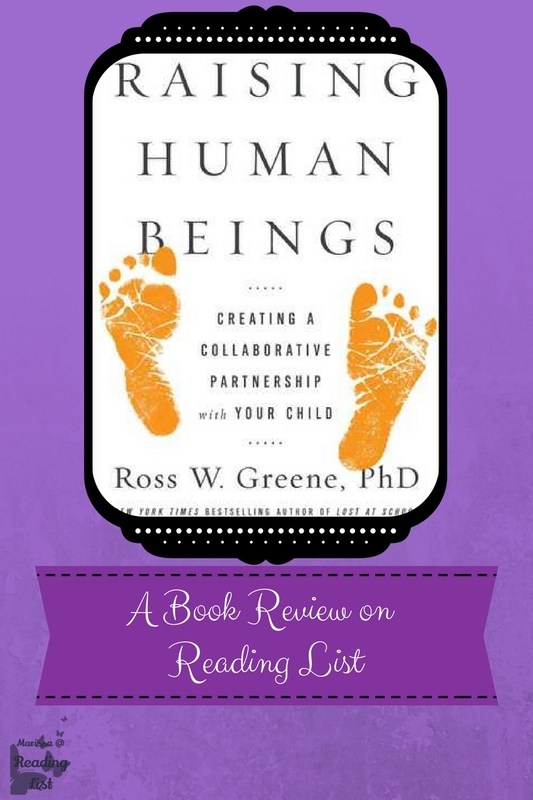 While Dr. Ross Greene has a long-standing reputation with families who have more difficult behavior problems to work through, this particular book is for families who just want more help in making daily life less chaotic through building relationships where each member of the family knows how to solve problems and work at overcoming their own personal hurdles. Greene walks you, the parent, through his three steps in such a wonderfully easy way that all parents will feel confident implementing this style of parenting into their homes, no matter their unique situations. As Green says, "Parents have so much guidance being thrown at them that it would be understandable if you decided to just turn on the autopilot and glide with your instincts." And since he realizes that only leads to unhappy homes or serious discipline issues, he made this how-to full of examples, and answers so you will be confident with this process months after you finish reading the book. Greene's style in gaining my trust at the beginning was nice. Because it is so true, every counselor any more has the perfect solution to whatever issue you might be facing in the moment - too much yelling, sullen kids who won't tell you what is wrong, kids who are not listening at school, and so on and so on... but those are just symptoms of the actual issues. Greene addresses that point exactly. He also gives corny phrases to use for the first few times you try his three step process. And he admits it's cheesy. But he swears it works. It seems to be helping me, and it has helped many many people according to his articles online. There is something about having an actual script to follow at first, and permission to feel dorky while being a parent that makes it easier to do... or maybe that's just me...? Also there are a half dozen or so real questions at the end of each chapter to help clarify each step and different scenarios. So if you were not clear on something in the chapter, no worries he will address it. Well, it's a parenting book. And it is very technical. So that means dry. For me that means slow reading... and I do not like slow reading. But I understand that is par for the course, so it's a minor hit. Also, as another way of explaining each step and how it works for different families, Greene uses scenario stories throughout... for me, I could have done without them. But I am sure other people will benefit greatly from them. All preference here. I am going to give this four and half hearts... it's not quite five, simply because it's a parenting book, and I won't know how wonderful it really is until I've had months to implement it. But I highlighted it like crazy, and already feel more confident about approaching the issues at hand in my house. All parents should read this book. It doesn't matter your faith, or your moral standings. It doesn't matter how old your kids are, or what discipline issues you might have... this book will help you build the kind of relationship parents hope for while they are anxiously waiting for their new little one to arrive and begin the journey of parenthood. Also, this is an excellent book for teachers of all kinds - if you work with kids, you should consider this book. There are a million parenting books out there... and I've only read a handful of them, to be honest. And most of the time they sound good while I'm reading them, but as soon as I put the book down it's out of my head. This one is not like that. Greene has put together a book that is so practical it sounds ludicrous, but I know that it will be a parenting technique I use for the rest of my life. You see, Greene has put together a how-to for parents, knowing that so many parenting books promise to give a game plan, but never really give the nuts, and bolts of the plan - this time, Greene gives starter scripts. He gives word for word conversation starters to use with kids no matter their ages, and even goes so far as to guess what you will be thinking while you are using these starters. Plus, at the end of each chapter he addresses tons of reader questions so that there are no questions by the time you reach the end of the book. The only question you will have is why didn't i read this book sooner! "We've established that kids do well if they can, and that doing well is preferable, and that the key factor involved in doing well is skills, not motivation." 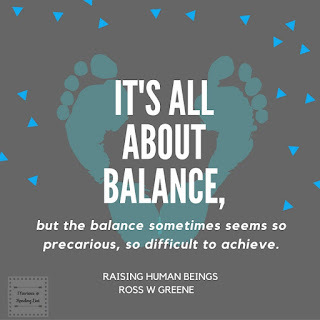 (location 3701 e-reader) This is the basis for much of Greene's process, and just internalizing these concepts helps with a parent's vantage in all situations. 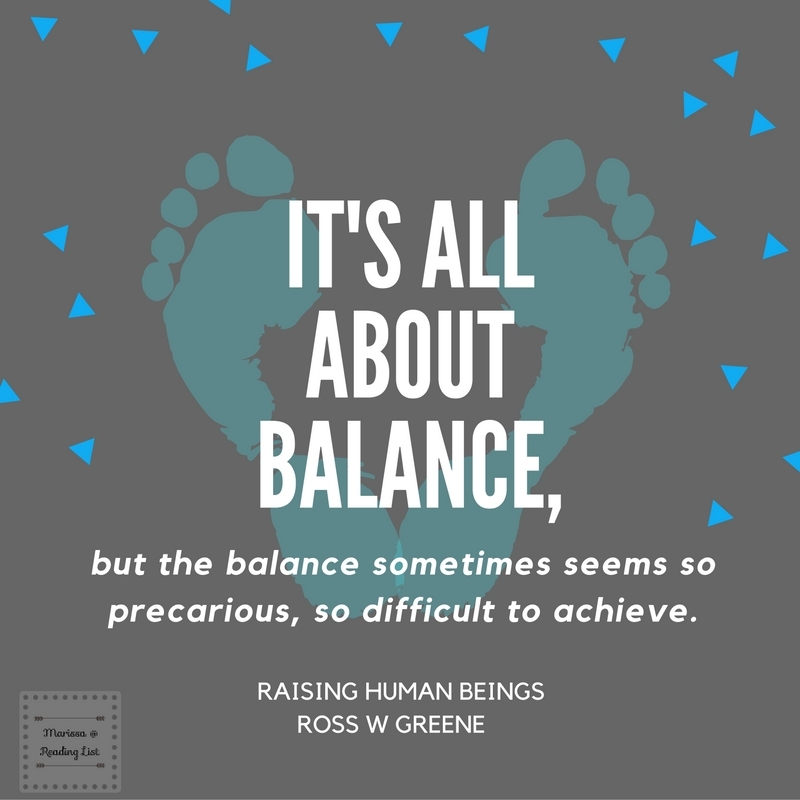 Do you feel overwhelmed with the challenges of parenthood? Would you like to have a script to try when you need to step in a really parent? What if there was a way to work on the problems before they happen? Would you read a book if might help with those future hiccups? See what other blogs I'm sharing this with!